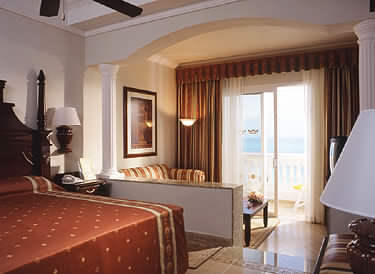 RIU RESORTS - The premier all-inclusive Resorts & Hotels in Cancun, Riviera Maya, Puerto Vallarta, Cabo San Lucas, Punta Cana, Jamaica & the Bahamas. 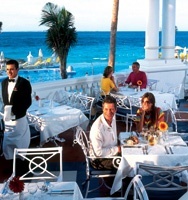 RIU PALACE LAS AMERICAS The Riu Palace Las Americas Hotel welcomes you to the sun-drenched beaches of the Caribbean! 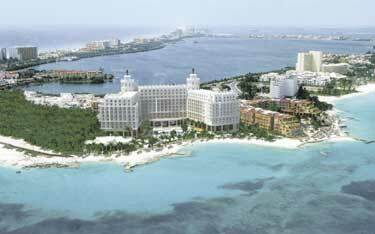 Experience the best of Cancun and nearby attractions while staying at the elegant Riu Palace Las Americas! Built on Cancun's beautiful beachfront, and surrounded by the inviting turquoise waters of the Caribbean Sea and Nichupte Lagoon, the Riu Palace Las Americas puts you within minutes of soaking up the warm Cancun sun, exploring ancient Mayan archeological sites, visiting nearby Puerto Morelos and Isla Mujeres, and enjoying fine dining, shopping, and many local attractions. Junior Suite - 2 double beds or 1 king, bathroom, hair dryer, in-room safe, mini- bar with liquor dispenser, TV and ceiling fan. Junior Suite Sea View - 2 double beds or 1 king, bathroom, hair dryer, in-room safe, mini-bar with liquor dispenser, TV, ceiling fan, living room area and walk-in closet. * Water sports available on premises. Motorized water sports will incur additional charges.